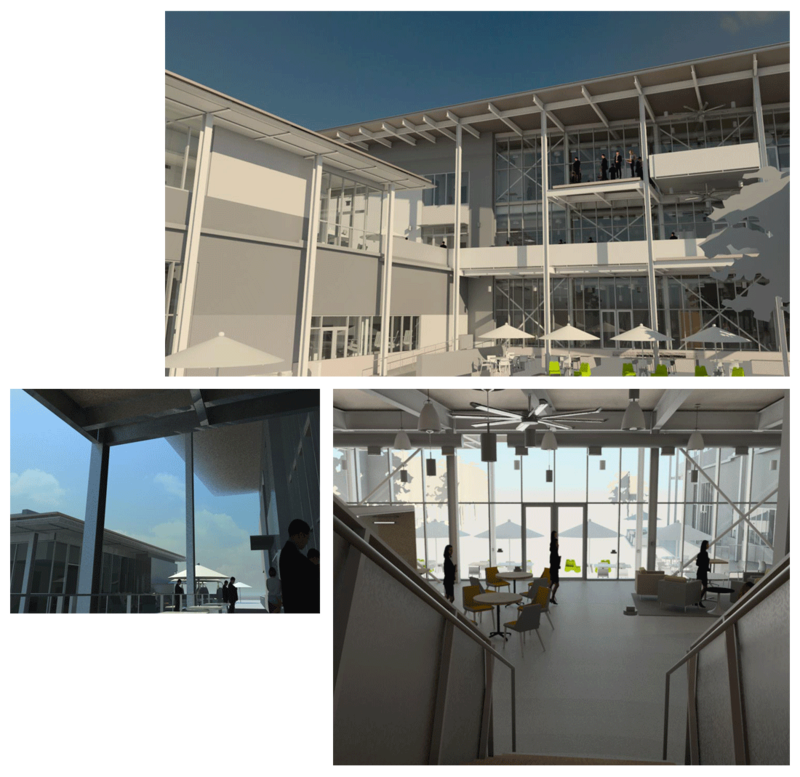 42,000SF dining building with 2,000SF of covered outdoor dining space, includes 10,000SF of multi-use academic program space. The new dining facility provides interior seating for 520 students and 90 seats in covered outdoor space for a total of 610 seats. The building includes kitchens and support spaces, instructional space, and community space that can be used for multiple programs.